The new ID-lab of Deltares runs global hydrological and hydraulic models for flood monitoring. Twitter contains information about new flood events, as observed and reported by citizens, news agencies and other organisations. In this project, FloodTags and Deltares developed a flood detection on the basis of Twitter and connected it to the 'event server' in the ID-lab. As a result, Clients of the ‘event server’ can obtain timing and location of new floods as observed from Twitter (and take appropriate measures). Quantify reliability by comparing the Global Flood Monitor (both flood repoerts and geocode) with other flood information sources. Improve detail of geocoding by including lower levels of aggregation, e.g. down to municipality level. 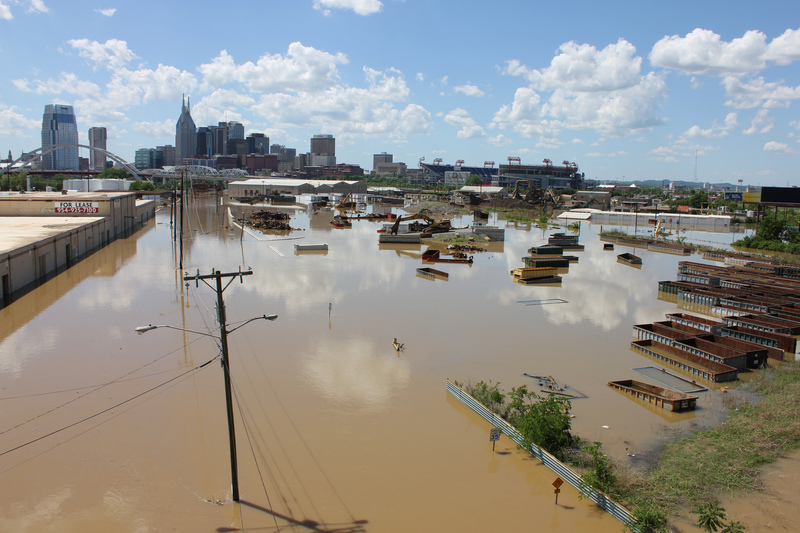 Improve filtering of the flood reports by using a user query. This includes assessment of the added value/ reliability of individual users, by (machine-) learning using the positives from the search query (possibly with improved reliability indication). 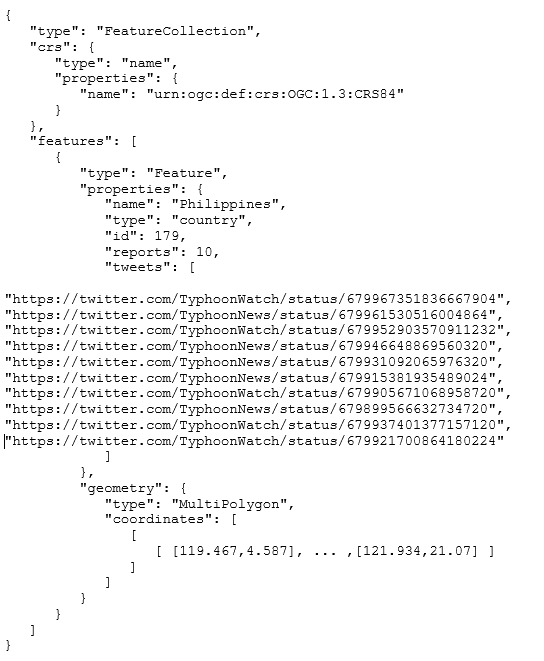 Filter on the basis of the tweet user: This was actually our initial idea, to create a white list of users that can be trusted and used as flood detector. After some experiments we found out that indeed the number of false positives was small, but we did not come close to a global overview. This approach needs much time spent on the creation of the champions’ list, to make sure we don’t miss (too many) events in small countries and remote areas. Location names that also have other meanings: Such as the province ‘Pool’ in the ‘Republic of Congo’. To avoid this we excluded all location names that are less than 4 characters long (total 655 names) + location names that are also frequently used words in the English language (such as central, western, northern, southern, north, south, capital, central-coast, capital, alert but also far-western, western cape, green bay, bay city and others). To improve the geocoding, more work must be done to exclude ambiguous words from the location names list of >4 characters) and include unambiguous words from the list of <5 characters. Location name referring to more than one location (double names): There are doubles in the total list of locations (names of cities, provinces, countries that are alike). When a tweet comes in that has multiple locations our procedure is that we first look for country names within the tweet itself (a combination of ‘Alexandria’ and ‘Romania’ refers to Alexandria in Romania and not Alexandria in Egypt). If there are none, we do a similar search over the past 48-72 hours (previous tweets where Alexandria appeared with another location name, such as ‘Romania’). The location with the largest ‘count’ of such combinations will be set as the location of the tweet. Note that the export file contains counts of filtered tweets with a reliability indication. At this moment we cannot ‘confirm’ a flood. If a user needs to be 100% of a flood happening, it needs to be validated first. Recognition of number of features of the tweet, including whether it is a retweet, a modified tweet (determined as such when an identical string of five words was found in previous 10.000 tweets) and whether the tweets contains a photo, a URL (and which URL) and whether the body text of the tweet contains a water depth mention (and which water depth). Storage of the full tweet including enrichments into a MongoDB. Storage of a stripped version of the tweet in an ElasticSearch database. 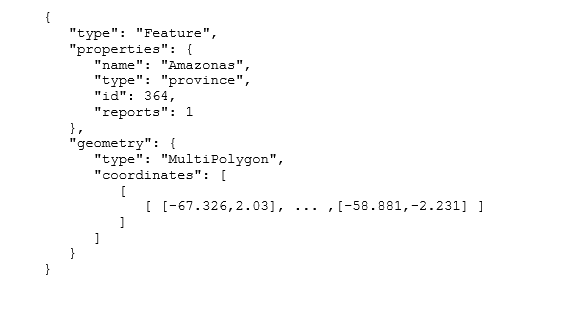 From the ElasticSearch database, each five minutes a GeoJSON export file is generated and sent to the eventserver using RabbitMQ protocol. The software has been set-up generally and can be used for other topics as well, as long as the approach required is similar (looking for global coverage, avoiding false postives, allowing for false negatives). What we did not automate (and in any case must be done for a new topic) is 1. Create a search query for the topic to be monitored and 2. Determine reliability per part of the search query and 3. Any further detailing of the geocode (adding new locations such as municipalities etc) would require additional work. Improve the filters by using a user query. This includes finding champions (users sending tweets that after filtering result in none/ very few false positives and false negatives) using machine-learning from the true positives (on basis query text). Improve geocoding by including lower levels of aggregation, such as municipality level.